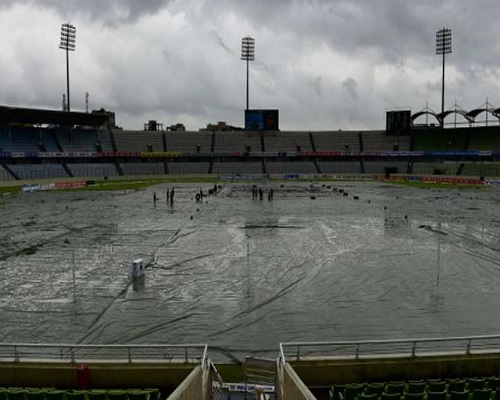 Rain washed out the morning session of the third day’s play of the India-South Africa second Test match at the M. Chinnaswamy Stadium here on Monday. No action will be possible till lunch, it was decided. The third day’s play was scheduled to begin 15 minutes earlier at 9.15 a.m (local time) after the second day’s play was called off without a ball being bowled due to rain. India, at 80 for no loss, is trailing South Africa by 134 runs at the end of Day one with openers Murali Vijay and Shikhar Dhawan batting on 28 and 45 respectively.